SINGLE RETURN OR MULTI TRIPS. RUBBISH AND OLD FURNITURE DISPOSALS AVAILABLE. PROTECTIVE WRAPPING SERVICE PROVIDED . We do cover 365 days and we are flexible with your desired time slot.Pick the best time for you. We have depots of vehicles all over Melbourne.So you are never too far from us. We don’t charge any extras for the stairs unless we meet really fussy ones such as spiral or circular ones. NO FUEL /NO RETURN FEE ARE CHARGED. Feel relief,your belongings are well covered with our comprehensive insurance. No day is cheaper or expensive for us. We work all 365 days, yes we work on public holidays as well. Our servicing timings has no restrictions .The time you need our service during the day ,or late night we are here to help you .Look no elsewhere to move after hours, we are here without any extra charges 24 hour service available. Your removalist is just a call away. We appreciate honest and reliable team work. So we don’t have any extra hidden charges that makes you blind about and makes you disappointed at the end of the move .What we quote is what we charge .Our special pricing structure will not charge you and depot to depot charge (Within the 10 km range).and we don’t have that call out fees and fuel levies which most of the removal companies charge from, you. We don’t have any extras for the stairs and heavy lifting. Purchased a new furniture and looking for a removalist?Your removalist didn’t turn up and need a substitution? Want a service for after hours. Just ring us. 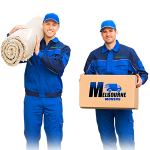 We have a large fleet of vehicles that are located all over Melbourne .So you are not too late to complete your delivery. Our trucks are not too far from you .Let us serve you within few hours from your booking time.